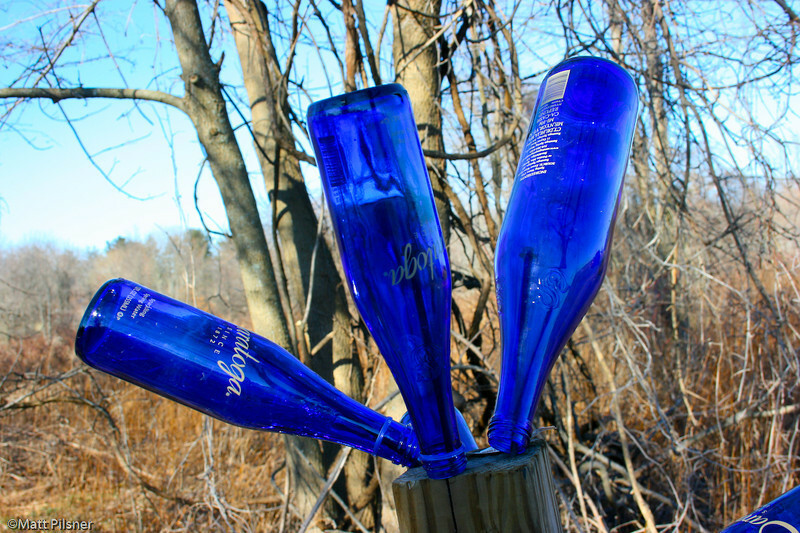 A Gallery of Photos of one of the Mysterious Blue Bottle Sculptures that appear in Princeton. 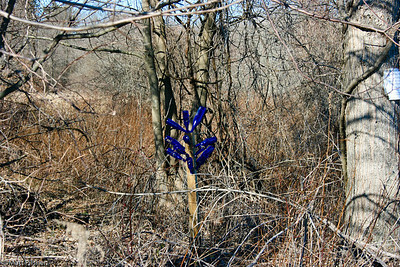 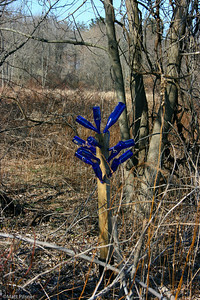 This particular one is on Quaker Rd and Appeared in January of 2008. 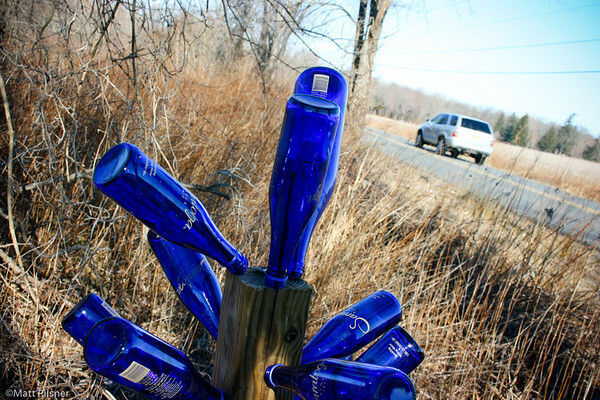 These Sculptures have appeared in the Weird NJ Magazine. 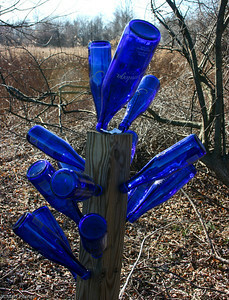 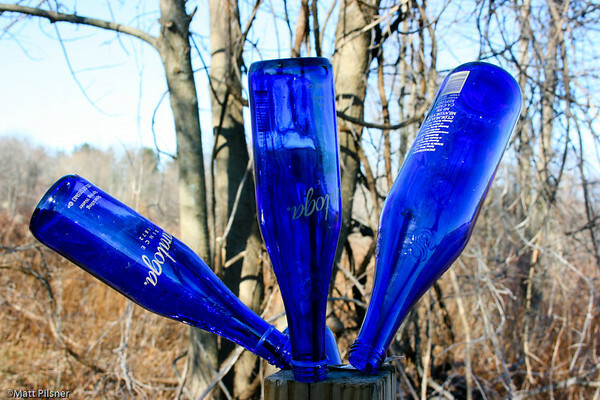 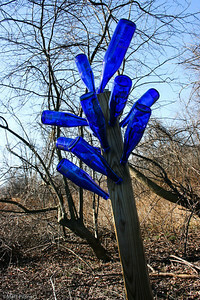 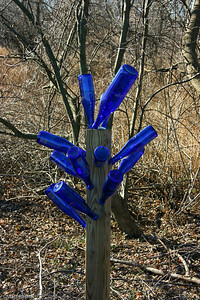 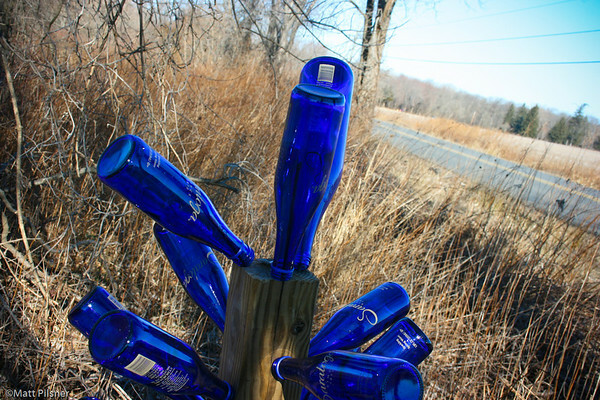 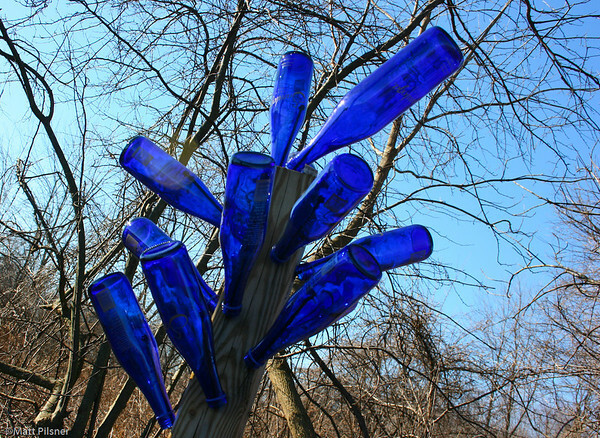 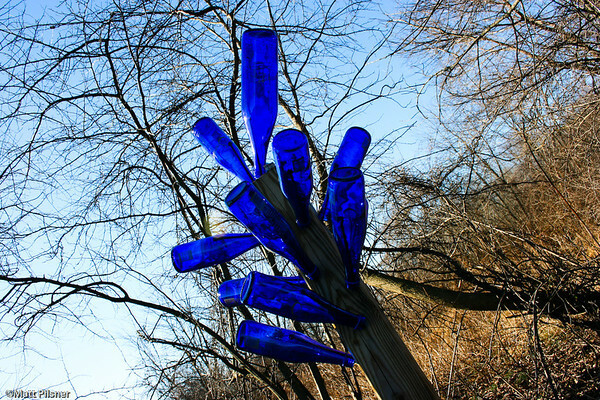 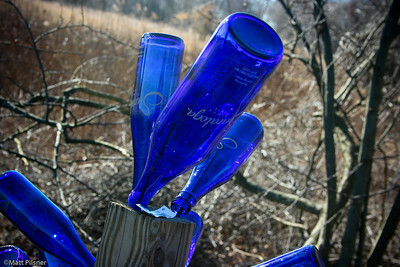 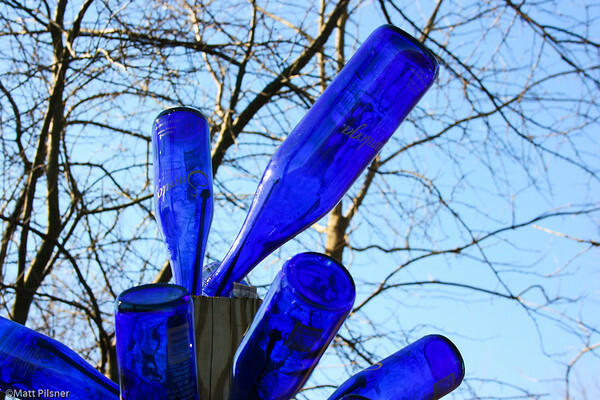 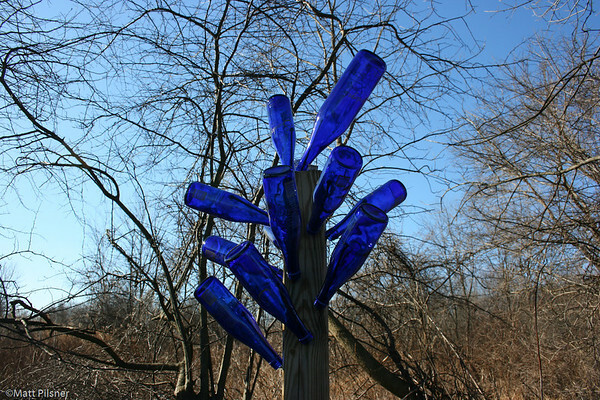 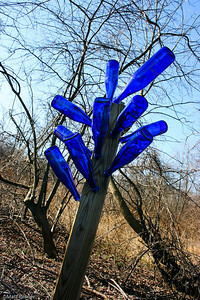 HERE is a link to a "Bottle Tree" website. 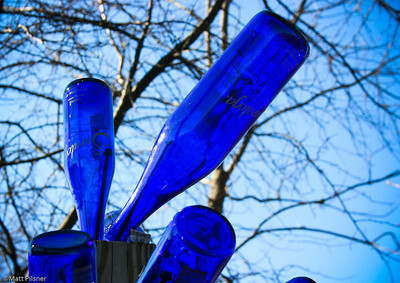 The ones from the website are all steel and slightly different, but I believe that they are all "evil trapping" bottles.